Emmanuel Makala was elected to be the first bishop of the new Southeast of Lake Victoria Diocese (SELVD) by the delegates of the new diocese. 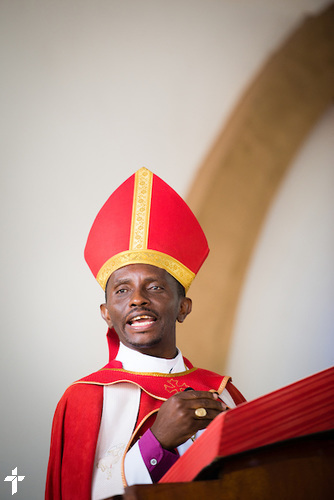 Emmanuel Makala has been serving as the Assistant Bishop of the East of Lake Victoria Diocese (ELVD) and Dean of the Cathedral and District Pastor since 2009. He previously received his Bachelor and Masters degree from Makumira University in Arusha, Tanzania. He was awarded his Doctorate degree from Concordia Seminary Ft. Wayne IN.